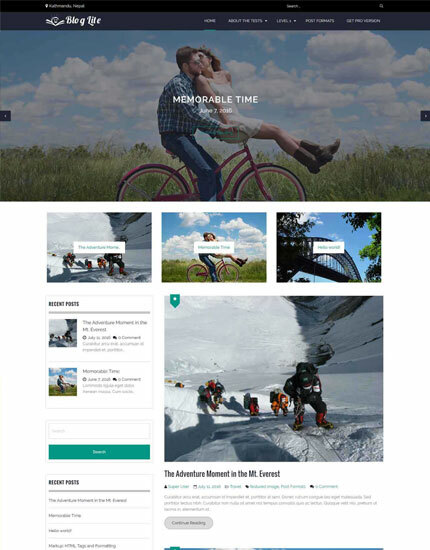 Blog Pro is a responsive theme that allows you to create stunning blogs and websites. It has been engineered to be easy to use and fast. 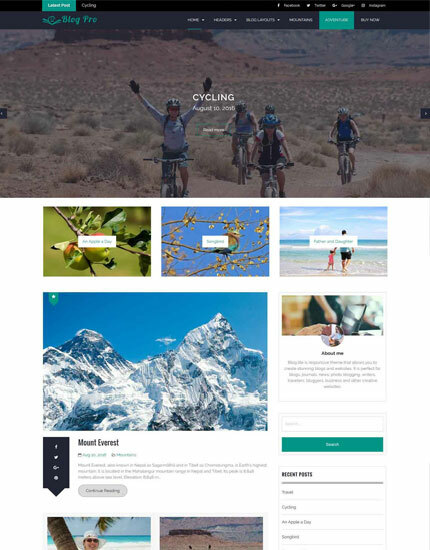 It is perfect for blogs, journals, news, photo blogging, writers, travelers, bloggers, business and other creative websites. It comes with a highly customizable theme customizer that let you manage the website at an instant.